Source: "World War I Draft Registration Cards, 1917-1918," [database on-line], Ancestry.com (www.ancestry.com : accessed 23 July 2014), entry for John Richard Watt; order number 91638; United States, Selective Service System. World War I Selective Service System Draft Registration Cards, 1917-1918. Washington, D.C.: National Archives and Records Administration. M1509, 4,582 rolls. Imaged from Family History Library microfilm. John Richard Watt was the oldest son of David Watt and Catherine McGee Watt, my paternal great grandparents. He registered for the World War I draft in the registration of 12 September 1918. He was living in Tacoma, Pierce county, Washington at the time of his registration. John Watt was born in Marquette, Michigan on 23 August 1883. 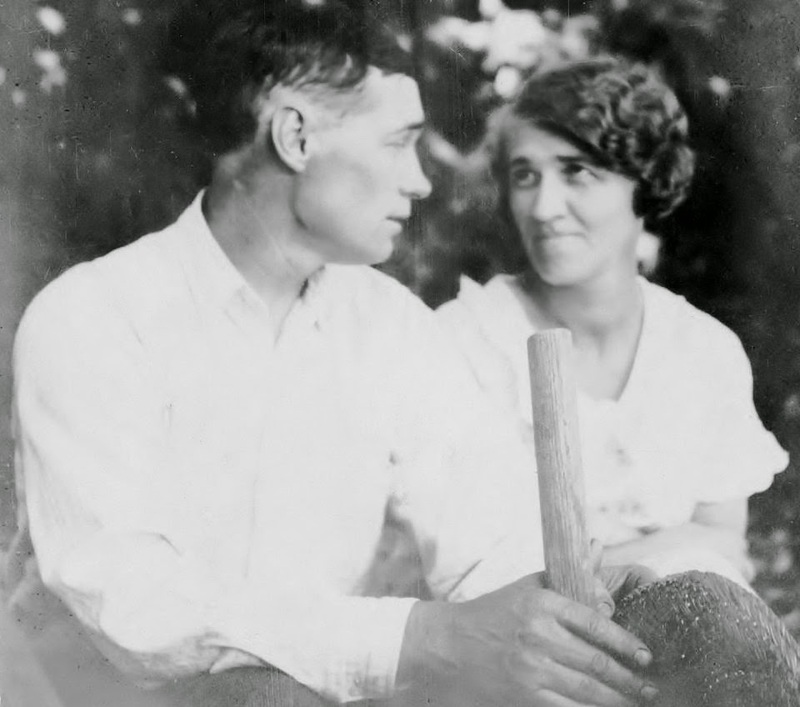 According to John's son, Warren Watt in "Stories from My Life", John left Marquette in 1904 after serving as an apprentice at Lakeshore Engine Works. He worked for the Northern Pacific Railroad in Washington until 1918. 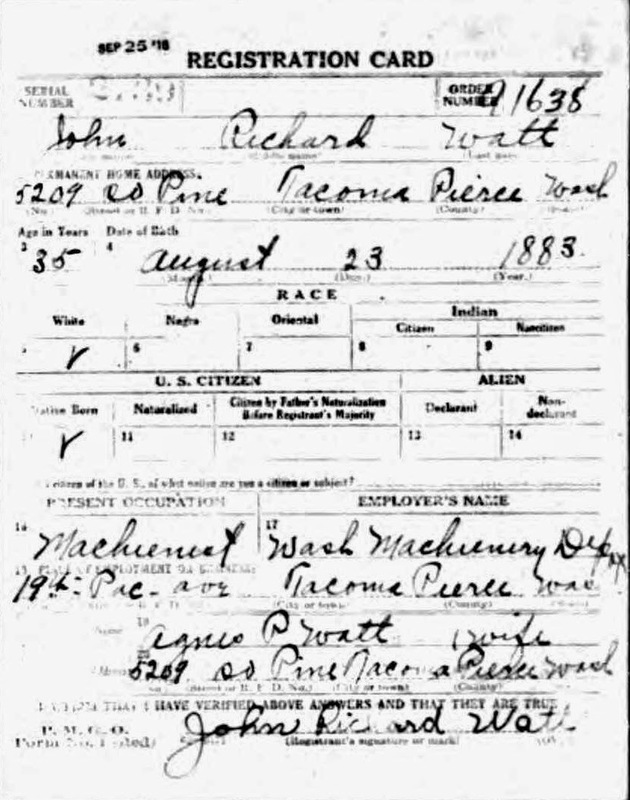 September 1918, the time of the above registration, finds John working as a Machinist for Washington Machinery Depot in Tacoma, Washington. John lists his wife, Agnes, seen in the picture with John, on his draft registration. 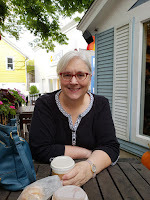 John was tall and slender with grey eyes and brown hair. 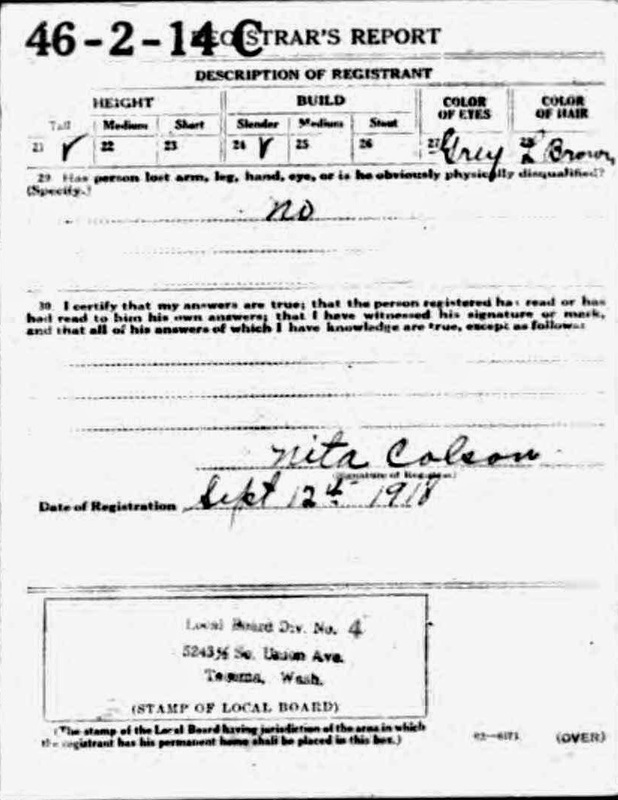 Draft registrations are one of my favorite genealogical finds. I like the detail provided. I have pictures of John Watt, but if I didn't I could get a picture in my mind with the descriptive details provided on this record.